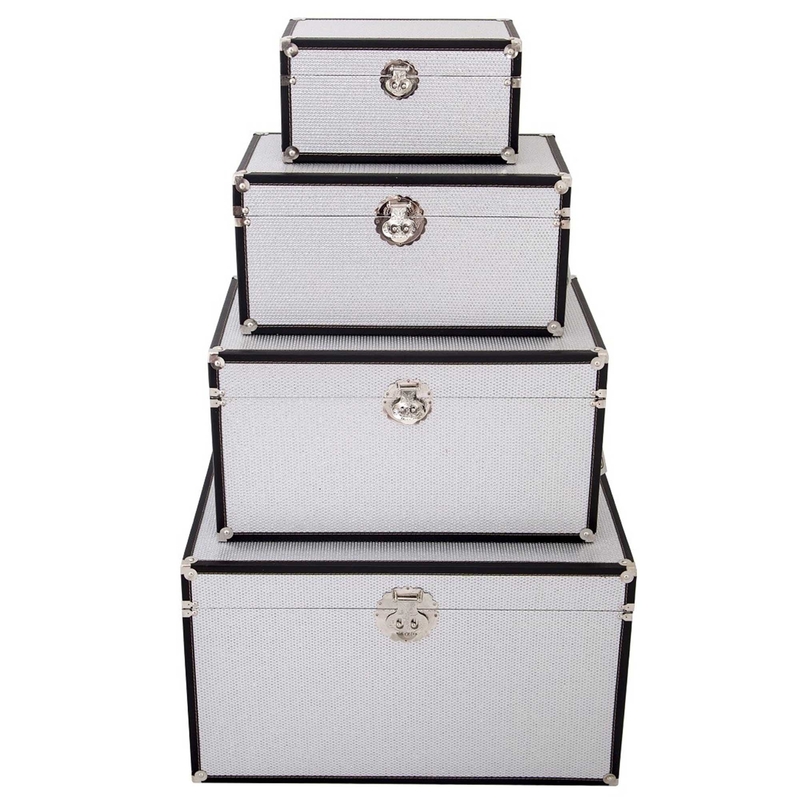 Add some storage to your home with this versatile set of Set of 4 trunks. Hand crafted and finished to a high standard, the quality of these are sure to impress. Finished in silver and black, this piece is sure to brighten up any room in your home.